Sudoku: One of life's simple pleasures Sudoku has taken America by storm! Puzzled by the wordless crossword puzzle? Try one or two of these simple, easy-to-solve sudoku and you'll discover what millions of fans already know: There's nothing as fun as sudoku! 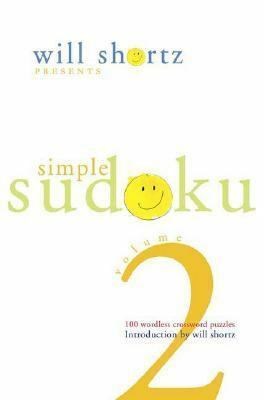 Features: - 100 all-new simple sudoku - Edited by legendary "New York Times" crossword editor and "America's puzzlemaster" Will Shortz"" - Big grids with lots of space for easy solvingShortz, Will is the author of 'Will Shortz Presents Simple Sudoku 100 Wordless Crossword Puzzles' with ISBN 9780312367565 and ISBN 0312367562.